A printing issue at a polling place in Meridian caused alarm Tuesday morning after multiple people took to social media, incorrectly asserting that Ada County was running out of Democratic ballots. 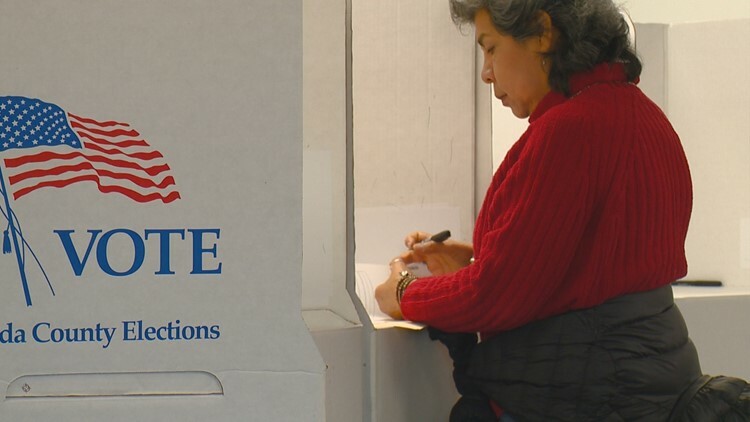 BOISE -- A printing issue at a polling place in Meridian caused alarm Tuesday morning after multiple people took to social media, incorrectly asserting that Ada County was running out of Democratic ballots. According to Ada County Chief Deputy Clerk Phil McCrane, the printing error caused non-partisan ballots to be mislabeled as Democratic ballots, resulting in no actual Democratic ballots being delivered to the Treasure Valley Baptist Church. Elections officials became aware of the issue almost immediately and had the correct ballots in place at the church by 9 a.m., one hour after the polls opened. McGrane said pollworkers at Treasure Valley Baptist have an on-site printer and were able to print out Democratic ballots for voters before the new ones were delivered in bulk at 9, although it was a slower process. No other polling place was affected, he said, and no polling place has run out of ballots. McGrane said he wanted to get the right information out to allay the concerns of those who have seen one of the incorrect social media posts. For more information on what is on the ballot in your area, click here.